The Hotel Relax Torreruja offers an unmissable level of wining and dining thanks to two excellent romantic restaurants with the highest level of cuisine. 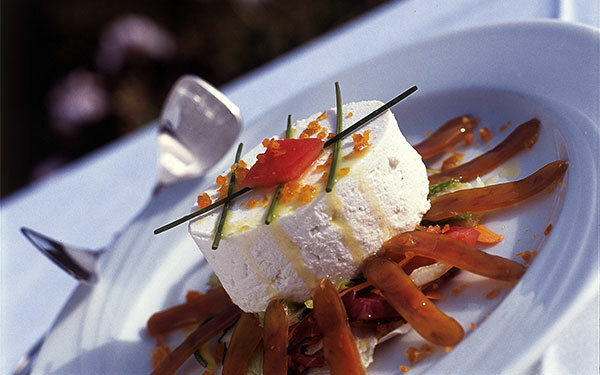 Delphina Hotels & Resorts has always dedicated great care and attention to the pleasures of eating and drinking, offering a level of cuisine that will make your holiday in Sardinia unforgettable. 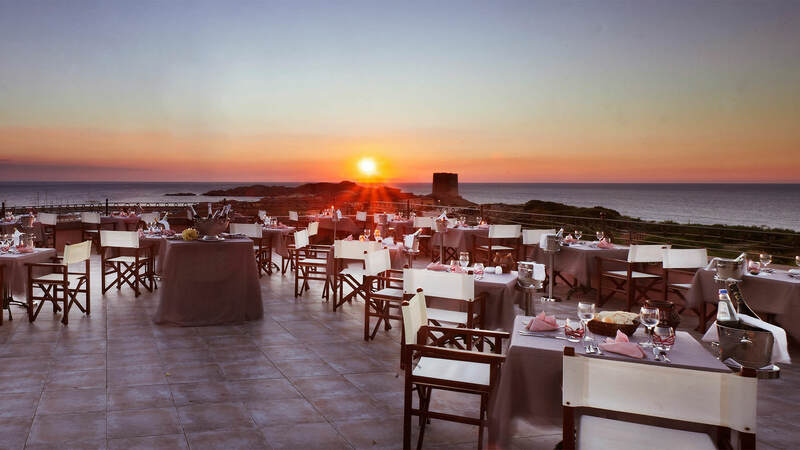 The delicious dishes at the two Hotel Torreruja restaurants are prepared with ingredients chosen from a rigorous selection process of Sardinian products and the freshest ingredients in order to create unrepeatable experiences of taste and flavour. Sea food enthusiasts will be able to enjoy wonderful dishes prepared with the freshest of the day’s catch from the Sardinian sea, caught by the expert hands of experienced fishermen from Isola Rossa. 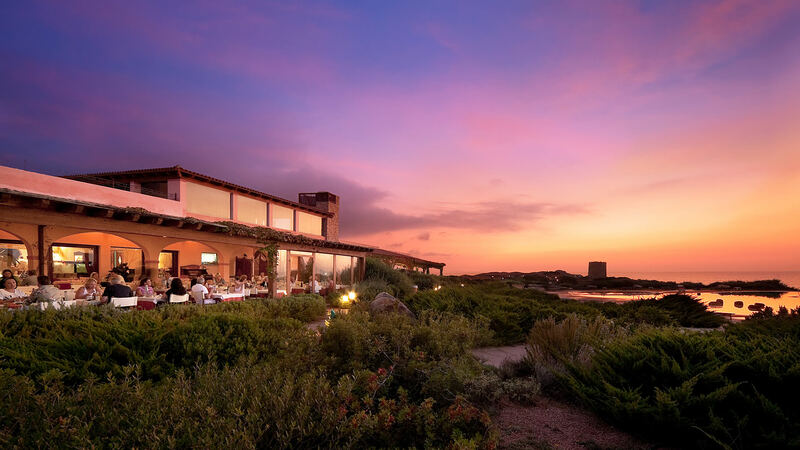 The superb view of the Golfo dell’Asinara and the Spanish Tower bathed in a fiery red sunset accompany magnificent dinners with either buffet or elegant waiter service on the Hotel’s panoramic terrace. The Hotel’s main restaurant specializing in generous buffets, spectacular show cooking, delicious examples of Mediterranean cooking and authentic island food. Every evening there is a wide range of options, ranging from sea to land. 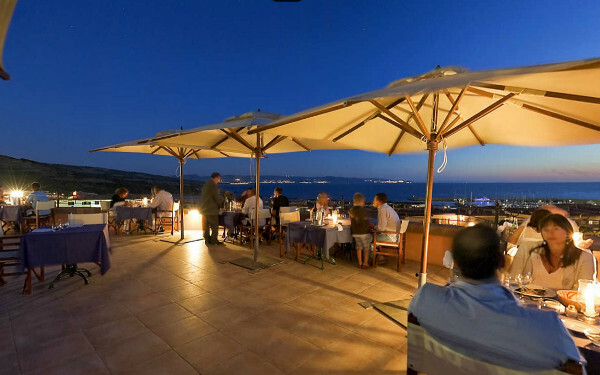 A panoramic terrace with a romantic atmosphere for candle-lit dinners. Exclusive special dishes by the chef and elegant waiter service. 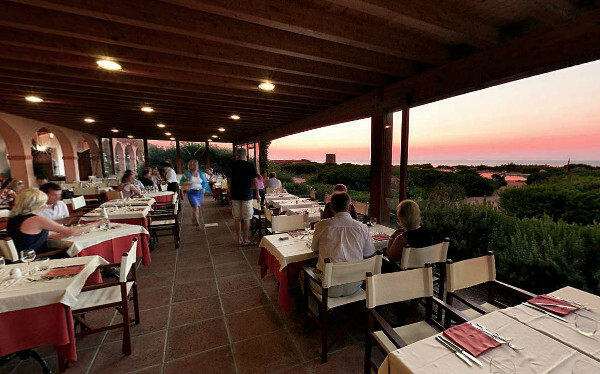 From here you will be able to enjoy memorable sunsets over the Golfo dell’Asinara. Reservation required and extra charge of € 14 per person; children from 0/1 year free. Opening at the Management’s discretion. Pool-side snack bar offering delicious fresh snacks. For lunch, there is a wood-fired oven for wonderful pizzas and tasty grilled food as well as Mediterranean cold dishes and Show Cooking with pasta prepared while you watch. For years Delphina has paid particular attention to the needs of those who require gluten-free cuisine. 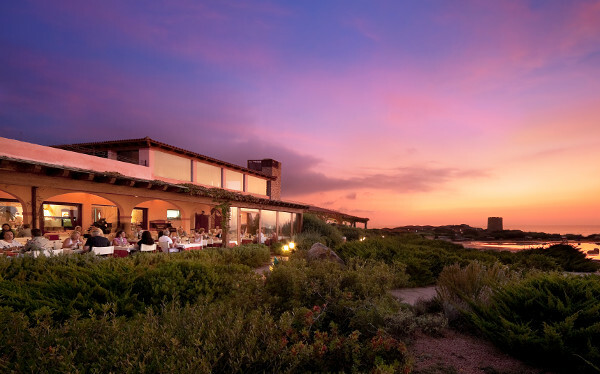 The chefs at the Hotel Torreruja regularly attend courses every year organized by the Italian Celiac Association in order to guarantee a professional level of service and thus ensure that Delphina’s restaurants are among the best hotel restaurants for celiac sufferers in Sardinia. This service is available free of charge with no extra payment and should be requested at time of booking. 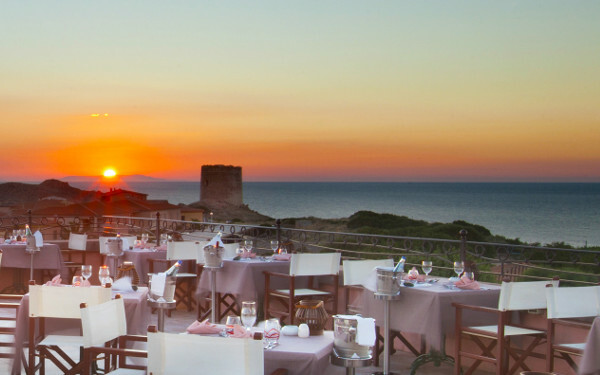 With buffet service available from 7:30 am to 10:30 am on the panoramic terrace of the Tramonto Rosso restaurant. 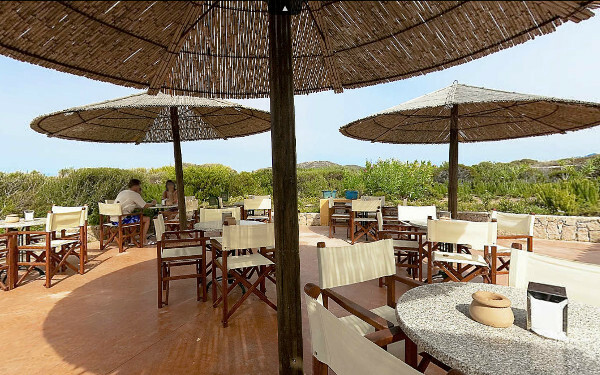 The pool-side “Nord Ovest” bar offers a range of delicious fresh snacks, cold Mediterranean dishes, Show Cooking with pasta prepared while you watch, pizzas cooked in the wood-fired oven and grilled dishes. From 7:30 pm to 9:30 pm. 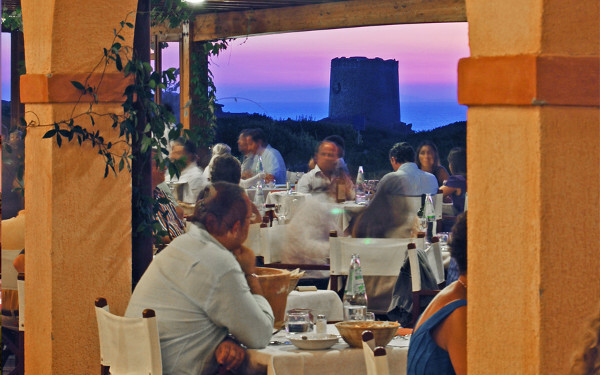 You have the option of choosing between a generous and tempting buffet with Show Cooking at the Tramonto Rosso restaurant or the romantic atmosphere of the Sotto Le Stelle restaurant with elegant and attentive waiter service. The opening of restaurants is at the Management’s discretion. The buffet service may be replaced with waiter service.